Taking on your first employee is an exciting time but there is so much to do. Registering with HMRC, sorting the correct insurance, training; there’s a lot to think about. From October 1st, there’s another thing to add to the “to do” list – sort out a workplace pension for your employees. Employers registering for a PAYE on or after 1st October 2017 have immediate Auto Enrolment (workplace pension) duties. They will need to offer a workplace pension to their new employees and automatically enrol those who qualify into the scheme from day 1 of their employment. Up to now, all employers have had an all-important “staging date”, the date that their employer duties begin. From 1st October, all new employers have these duties as soon as their first employee starts working for them (this will be known as the “duties start date”). For many, it is likely to come as a nasty shock to discover they have to be setting up a pension scheme at the same time as showing new staff the ropes. What do New Employers Need to do? 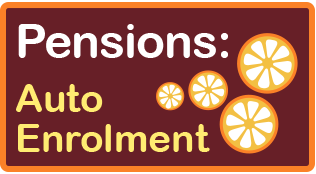 Find an Auto Enrolment qualifying pension scheme. Either talk to your Financial Advisor or do your own research. Assess employees – check their age and how much they earn. Those aged between 22 and State Pension Age and earning £192 per week / £833 or more per month MUST be automatically enrolled into a qualifying Workplace Pension scheme. These checks need to be carried out every time the staff are paid. Should a member of staff become eligible to be automatically enrolled at a later date (ie they earn more than £192/£833 for the first time or turn 22), they will need to be enrolled in to the pension scheme then. Deduct pension contributions from their pay and, along with employer contributions, pay these over to the pension provider on a monthly basis. The Declaration of Compliance needs to be completed for The Pension Regulator to let them know you have complied with the regulations. 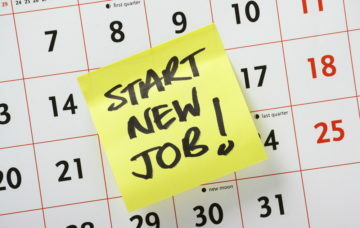 Employers have up to 5 months from their duty start date to do this. Firstly, employers have the option to postpone assessing the staff (to see if they have to be automatically put into a pension scheme) and therefore put off actually making contributions for up to three months. Ideally, a suitable pension scheme should be set up and in place (or at least decided on) and ready to go from day one as an employee has the right to opt into the pension if they wish. That gives a little welcome breathing space but the employer still needs to write to the employee within 6 weeks of their start date with details of the postponement, giving the date it ends and explaining what will happen then. What if my employees don’t need to be automatically enrolled? All staff need to be informed in writing about their workplace pension rights and why they have not been automatically enrolled. The letter needs to be sent within the 6 week time frame. Very importantly, the employer still needs to complete the Declaration of Compliance by the original 5 month deadline (start date of the first employee). This also applies to companies where there are only Directors and no one has a contract of employment.